Our recent posts have featured how Nic and I are becoming the best we can be in 2016. Both of us have decided to get well in our own way whether it be going through C.B.T (cognitive behavior therapy) or sorting out toe nails. So here’s the next installment and this time it’s all about cleansing. You may have seen the tweets about going for colonic irrigation. This was the ‘in thing’ back in the day, everyone seemed to be talking about it and even though you might not hear it as a buzz word anymore it’s still well and truly alive in Newcastle at Central Healthcare. It’s something I’ve thought about doing for years and since I’m wanting a full cleanse of my life it seemed sensible to include my colon too. I’ve heard lots of stories, the good the bad and the indifferent. Prior to my appointment I was called by the Gill a nurse of 27 years to go through ‘what to expect’ which put me at ease and I was able to ask questions. The questions that had prevented me from going in the past. Things like, ‘will it hurt?’, ‘what are the short, medium and long term benefits?’, ‘will it hurt?’, ‘will the water be warm?’, ‘will it hurt?’…..
Gill talked me through her experience and why she is so passionate about the treatment. She went through the ‘ins and outs’ so to speak. Appointments last one hour so this pre visit call is very beneficial so it doesn’t actually eat into therapy time. One thing that Gill highlighted on more then one occasion was that the treatment MAY not lead to weight loss. I accepted the statement but also thought that if poop was being irrigated then surely weight loss is a side effect albeit only until you replace it with more food. I ensured the appointment could be on a child free day and I arrived into Newcastle city centre (train station area). There is on street parking nearby and two multi-storey car parks in the area. Ensure you buy a ticket and display it (I didn’t display so got a lovely parking ticket which I successfully appealed). Central Health care is situated in one of the newly developed railway arches and looks unassuming from the outside which I saw as a positive as I’m not sure I’d want everyone to know where I was headed (instead I’ll write it down in detail and tell 1,000’s about my experience). a. Entered white room with two white beds adorned in red towels. I recognised one of the beds locations from a review by Lisa of Tried and Tested for a vitamin infusion. b. Gill then went through the entire process with me and showed me where I could undress from the waist down. c.I lay on the bed and Gill got to work. The sterile parts of the equipment was opened in front of me and then the speculum was popped into where it needed to go. Although completely being put at ease I did feel quite embarrassed. d. It was now time for the actual irrigation to commence. Here a slow stream of water went up the tube and goes inside to fill the colon. e. This gentle process carried on for a few rounds but then the intensity increased. Gill massaged my tummy and then turned the water pressure up and she asked me to hold it for as long as possible and then release. I’m not ashamed to say it, I was crap rather rubbish at the hold and it was definitely my least favourite part of the process. It simply felt weird and uncomfortable (not painful). came out but there was NO substance to it. I really thought there would be a never ending exodus of backed up poop from my rather poor diet. A few minutes went by and nothing. possible I said yes….Then the pressure was upped and voila more extract happened but this was nearing the end of the prescribed treatment time, however she continued until more came and then that was over. A very quick hour. h. Now time to extract the speculum. g. Gill cleared up and disposed of all of the now non sterile equipment used whilst and I went and got dressed. h. I went to the toilet as recommended to ensure any movement came out then and there. i. I entered the main room again. Had a drink of water and a probiotic (you can read about their benefits in a Central Healthcare blog post here) which I was recommended to take for 30 days. I could have bought a supply but I knew I had some unopened probiotics in the house. Then it was time to say goodbye…. How did I feel straight after the treatment? I felt clear in my brain as I’d been suffering from a niggling headache for days. My bloating reduced and I felt more vibrant. Gill recommended some more sessions to get the full benefits of irrigation. Stupidly I decided to enjoy more mummy time off and headed to the Metro Centre and embarrassingly I did a big pump and more….I was mortified. I needed to find a toilet really quickly and whatever got moved during the colonic came out quick smart. I spent quite a lot of time at the loo and I drank lots of fluids to ensure I stayed hydrated. Again I was quite poo tastic and the contents of the loo were rather bright yellow in colour. Normal? It didn’t look normal but I reassured myself that it was. (NOTE: yellow poo can be down to lack of good bacteria in the body). As for weight loss on my weigh in I got a ‘maintain’ rather than a loss, so Gill was right after all but surely there should have been pounds lost from my body, I guess not. Don’t go with the expectation of miracles or weight loss. Treatments start from £75.00. 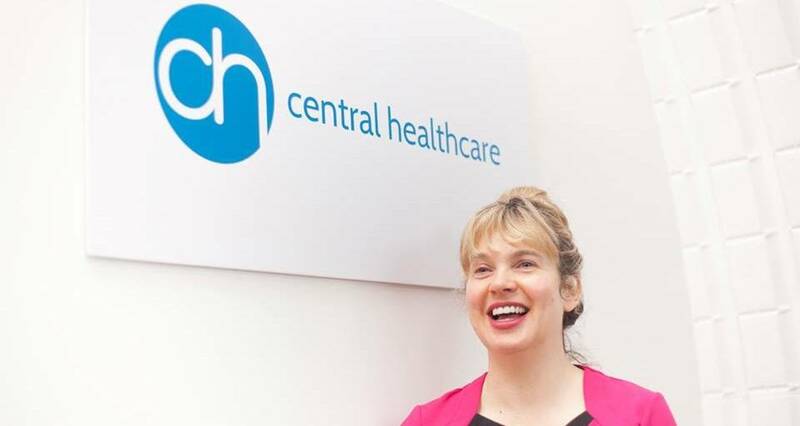 You can follow Central Healthcare on Facebook and Twitter To find or give them a call on 0191 222 0100.